Cowboy Hat Etiquette - Take It Off or Tip It? 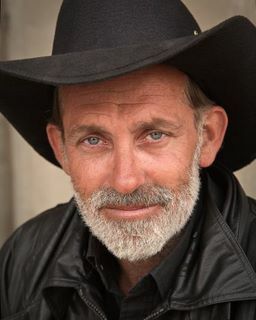 Cowboy hat etiquette, when you are wearing your hat, can make an old school impression on a new world. Let's face it...times have changed. But, what happens when someone decides to tip their hat to you out of respect and kindness? There are certain rules about tipping your hat, or taking off your cowboy hat. The etiquette associated with cowboy hats really depends on where you are and what you are doing. Here are the rules to make it easy. If you are indoors, proper cowboy hat etiquette says that you should take your hat off except in public places like a town hall or post office. This is acceptable to strangers and they will not find it offensive. However, if you were wearing one that was large and difficult to see around, you might take it off just to be polite to others about their vision. Always take it off in movie theaters, public sporting events, and other events where seeing around the hat would be an issue. People will appreciate the fact that you took it off and they did not have to ask you to do it. When you are outdoors, the real question is do you tip your hat to acknowledge something, or do you take it off? Believe it or not, it has nothing to do with whether you are on a horse or not. When you meet or leave a woman that is a stranger. When someone has shown you any kind of courtesy. When asking something of an elderly person. As a general acknowledgment. Think of it as saying "hi" to someone. You would remove your hat if you are dealing with people that you have a relationship with. If you meet someone you know, or you are saying goodbye to them, it is appropriate to remove your hat as a way of showing respect for them. When passing someone you know if the street, it would be acceptable cowboy hat etiquette to remove your hat showing that you know them and have a relationship with them. It is also a good gesture to remove your hat during the Pledge of Allegiance, the national anthem, or during a prayer. This shows that you are acknowledging these important events and shows respect for these symbols. In today's society, so few people have proper manners or etiquette. What would happen if you were to tip your hat to a stranger that you met for the first time? I assure you it would make quite the impression because that is something that is so far removed from our culture.